High Noon at Cagayan Garden by Alfredo and Isabel Aquilizan opened on August 15, 2017 and closed on October 14th, 2017 at the Bellas Artes Outpost in Manila. 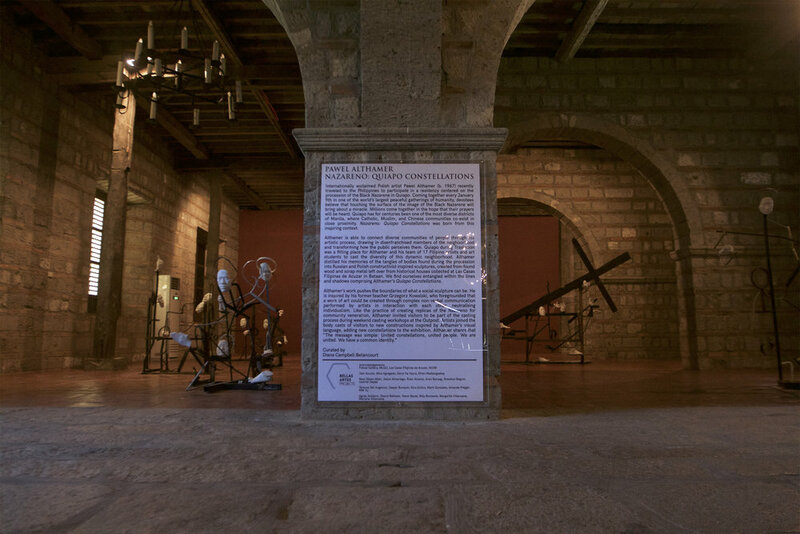 The exhibition is comprised of two installations conceptualized and produced with the Bellas Artes Projects workshops in Bataan at Las Casas Filipinas de Acuzar during January component of the Aquilizan family's long-term and ongoing residency with Bellas Artes Projects. 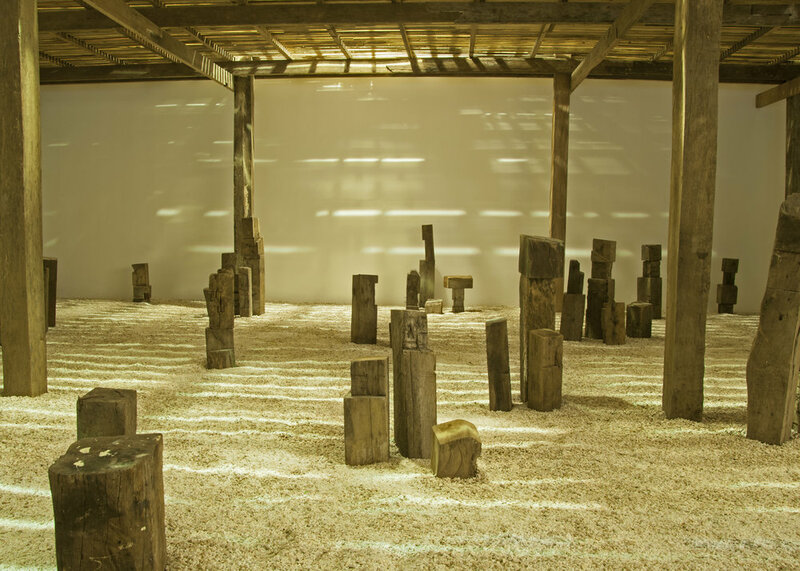 The first installation, Cagayan Garden (2017) takes inspiration from Alfredo Aquilizan's personal history growing up in Cagayan and his and Isabel's artistic concerns with displacement, change, memory and community. 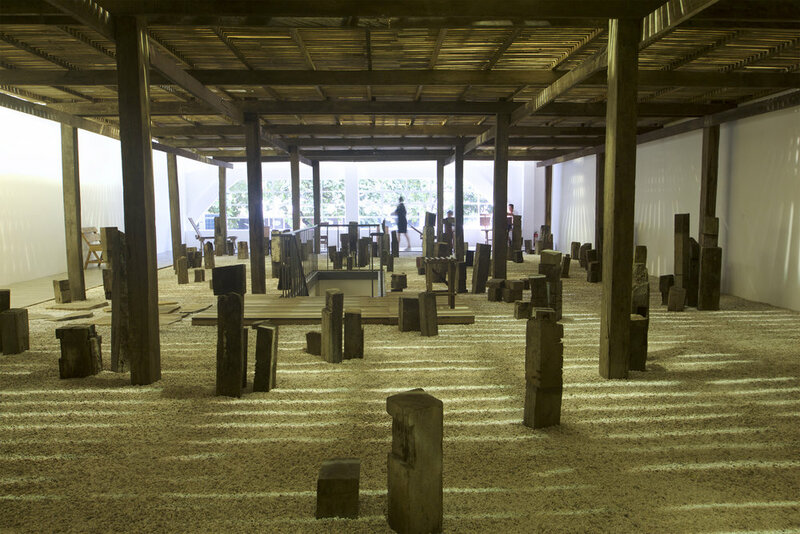 During their residency, Isabel, Alfredo, and their children collected posts of antique Filipino houses that had been relocated to Bataan as part of the Las Casas Filipinas de Acuzar's collection of heritage houses. 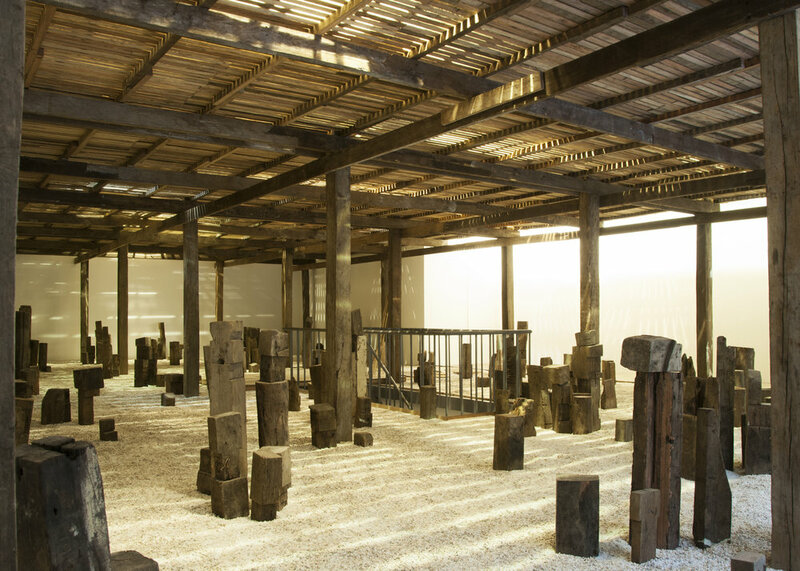 The Aquilizans then installed these posts within a sea of marble chips placed underneath four wooden heritage Cagayan houses on site, hovering two meters off the ground on stilts. 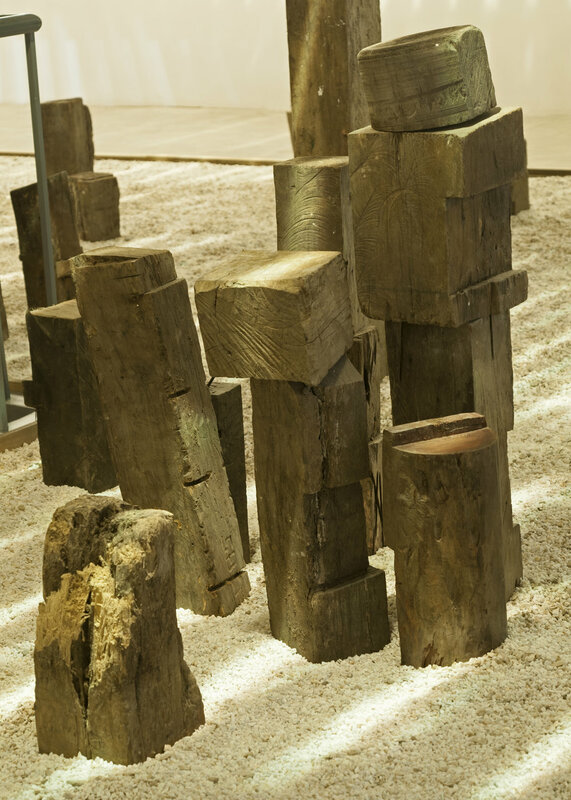 The result is an exquisite zen inspired garden where one can contemplate the journeys that the houses, and the families who once lived inside them, underwent in order for the garden to come into existence. At noon in the garden, something magical happens. The light shining from above flows through the floorboards of the houses, creating ephemeral geometric stripes across the installation below. Noon is also the time when the craftsmen and women on site have an hour-long lunch break, and many of them come into the garden to take an afternoon nap. 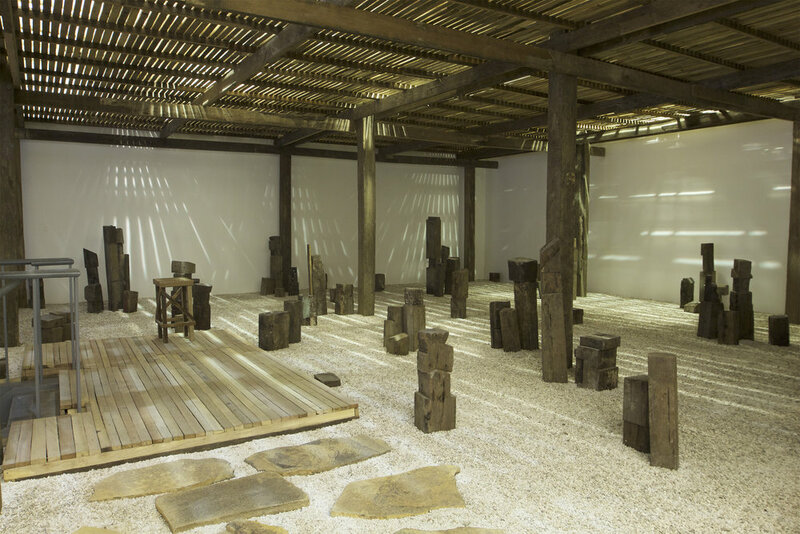 Taking this meditative space for labour and migration a step further, High Noon at Cagayan Garden displaces Cagayan Garden from its base in Bataan and moves it into Bellas Artes Outpost in Manila. Through the exhibition and lighting design, visitors will be suspended in a perpetual state of noon within the the Outpost. Complimenting this installation is a second installation, Thrones (2017), comprised of the sculptural wooden chairs that the craftsmen at Bellas Artes Projects create for themselves as custom platforms that allow their bodies to best work. 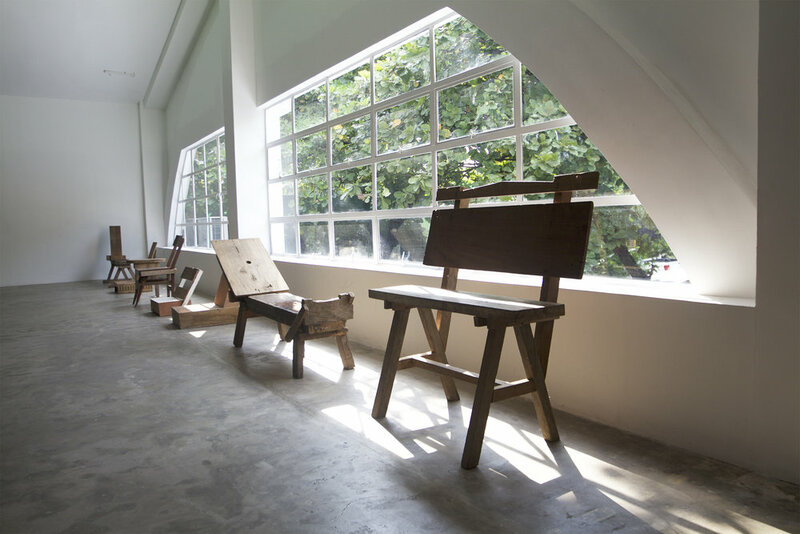 At noon in Bataan, these chairs are empty, and during the exhibition in the Outpost, we invite writers, artists, craftsmen and women, to sit in these chairs and to share their ideas on labour and its value in society. A public programme compliments the exhibition with lectures and workshops by craftsmen and women from across the Philippines as well as artists and curators who collaborate with craft in their practice. Internationally acclaimed Polish artist Pawel Althamer(b. 1967) recently traveled to the Philippines to participate in a residency centered on the procession of the Black Nazarene in Quiapo. Coming together every January 9thin one of the world’s largest peaceful gatherings of humanity, devotees believe that touching the surface of the image of the Black Nazarene will bring about a miracle. Millions come together in the hope that their prayers will be heard. Quiapo has for centuries been one of the most diverse districts of Manila, where Catholic, Muslim, and Chinese communities co-exist in close proximity. Nazareno: Quiapo Constellations was born from this inspiring context. Althamer is able to connect diverse communities of people through his artistic process, drawing in disenfranchised members of the neighborhood and transforming how the public perceives them. Quiapo during Traslación was a fitting place for Althamer and his team of 17 Filipino artists and art students to cast the diversity of this dynamic neighborhood. 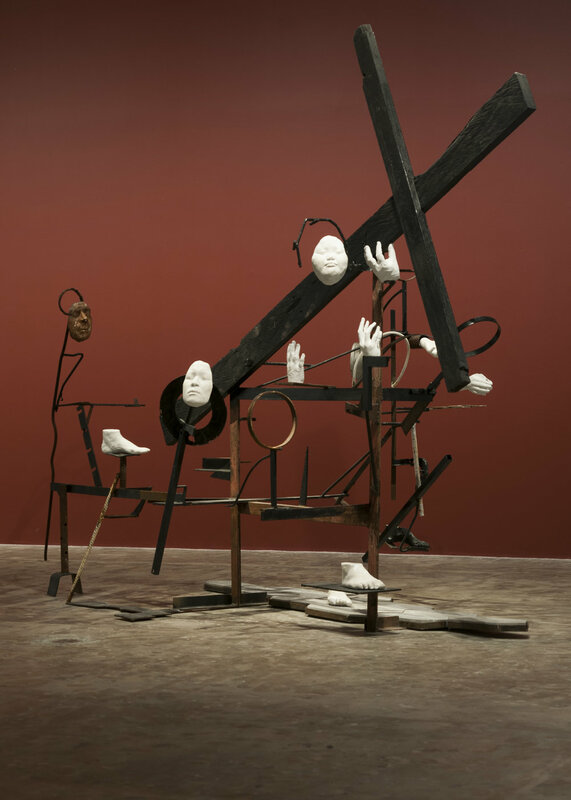 Althamer distilled his memories of the tangles of bodies found during the procession into Russian and Polish constructivist inspired sculptures, created from found wood and scrap metal left over from historical houses collected at Las Casas Filipinas de Acuzar in Bataan. We find ourselves entangled within the lines and shadows comprising Althamer’s Quiapo Constellations. 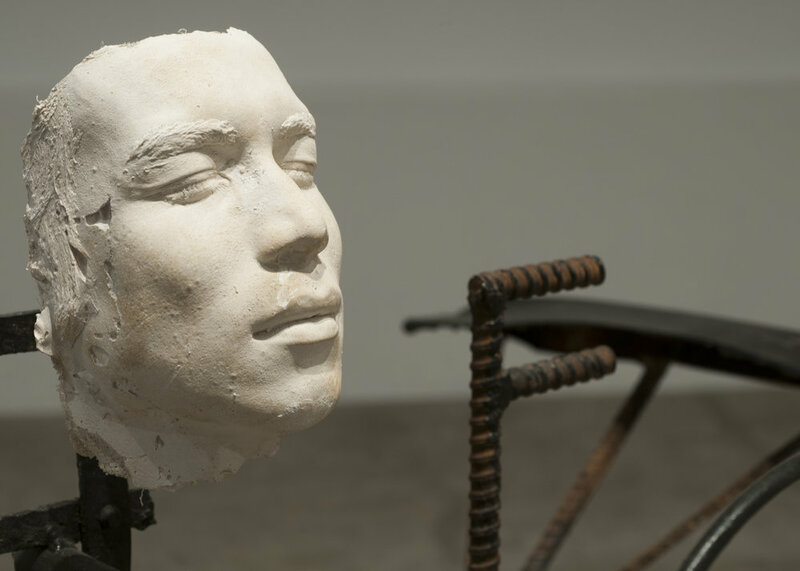 Alluding to a future act and speaking to the role of sound that echoes across the artist’s diverse practice, Prelude presents Mexico City based artist Carlos Amorales’ work for the first time in the Philippines. Amorales’ family settled in Acapulco via the galleon route from Spain, and their long journey across the ocean connected them to the Philippines in the Batan Islands. Personal history aside, there are deep connections between the Philippines and Mexico with nearly 60,000 crew members sailing back and forth across the Pacific Ocean, and similarities in folk music in Latin America and the Philippines are one of the ways that this connection of cultures can be acutely experienced. Music and sound surpass language in their ability to connect people. 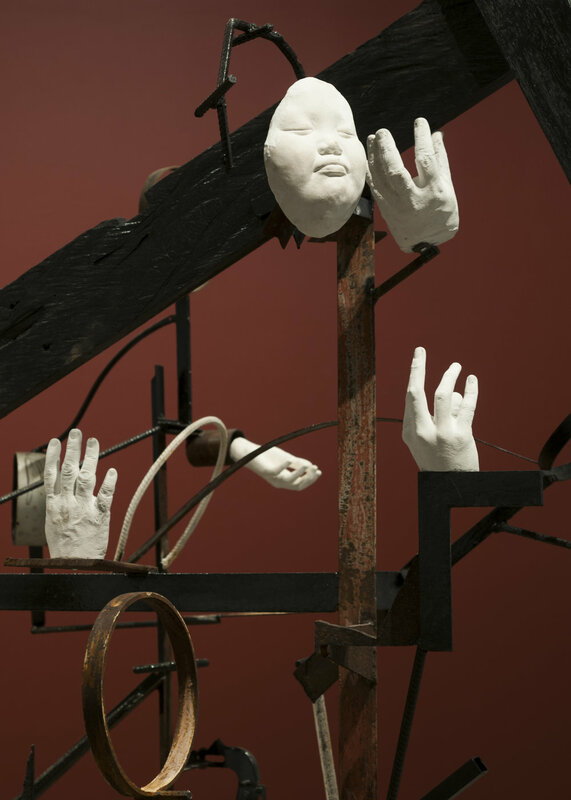 Playful and experimental scores imagined by the artist and his collaborators link the two bodies of work in this exhibition. The enchanting music echoing through the space is the legendary Guatemalan composer and sound artist Joaquín Orellana’s own imagined rendition of a musical fragment from the classic 1940 Disney Film Fantasia, commissioned by Amorales and Julian Léde in 2012. Playing on the history of early animation involving cut-outs and silhouettes, the haunting screen at the top of the staircase presents Orellana’s Fantasia (2013), registering the shadows of Orellana who performs his fantasia as a shadow play with his útiles sonoros (sound utensils), instruments that are analogue models made to perform as if they where electronic instruments. Each instrument has to be performed by following a score written out of a set of symbols and notations invented by Orellana in an attempt to notate his visions of sound. Orellana’s thinking has uncanny connections to Filipino composer José Maceda, whose centenary is celebrated this year. Paired with Orellana’s Fantasia, Amorales’ silent film Sorcerer’s Apprentice (2013) resulted from working frame by frame with the original Walt Disney Fantasia animation. Each frame was extracted and reproduced several times through a black and white photocopy machine, diluting the original image. Later, eachphotocopy was manually torn into two pieces, before being digitized again and reordered through a post-production process. The imagery in these two films borders on the edge of horror and fantasy, further linking these works to not only the storyline of Disney’s Fantasia but also to childhood experiences shared by seemingly disparate cultures. Pushing back the curtain in the space, the light changes and you encounter twenty prints comprising Partituras para Ocarinas (Grupo 2, 2016-2017). Continuing with the ideas of building abstract scores and the liberation found through the immediacy of the photocopy process, these new scores by Amorales bend notions of what sound could and should look like, inspired by ancient wind instruments that link ancient Chinese and Mesoamerican cultures. knew, that they didn’t let children know about. I thought this was one of them. Inspired by an out of body experience the artist had at the age of eleven, the exhibition considers strands of Eastern and Western spirituality in across the artist’s work in the way that it attempts to break away from the chains of physical existence and into a space of timeless consciousness. The exhibition is presented in two parts. 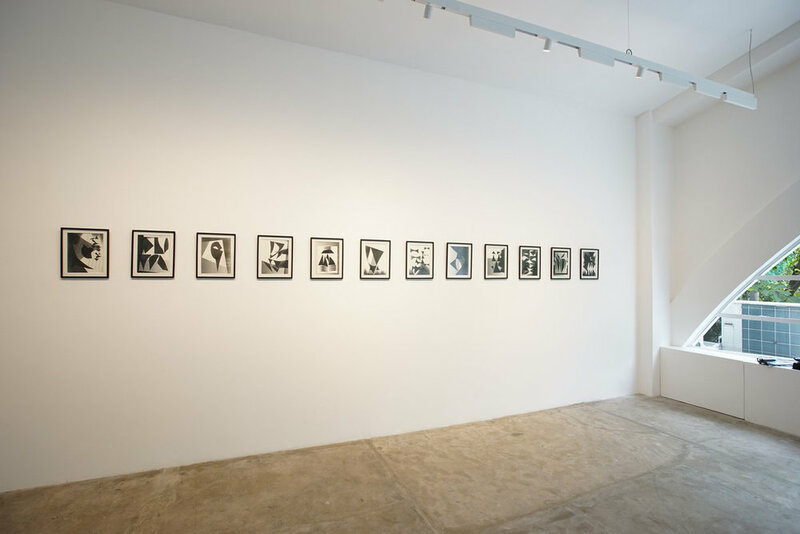 Bruce Conner: Out of Body opens in BAP Outpost (Manila) with the artist’s 1966 masterpiece BREAKAWAY, a 5-minute film where Toni Basil lends her dancing and vocals describing a desire to “break away from all the chains that bind” and “break away from the everyday.” The sense of capturing bodily energy is also found in the artist’s seminal photographic ANGEL series, where the artist created haunting spiritual forms of glowing light by placing his body in various poses between photo sensitive paper and a light source. Metaphysical energy is also found in the artist’s INKBLOT and MANDALA series of lithographs. 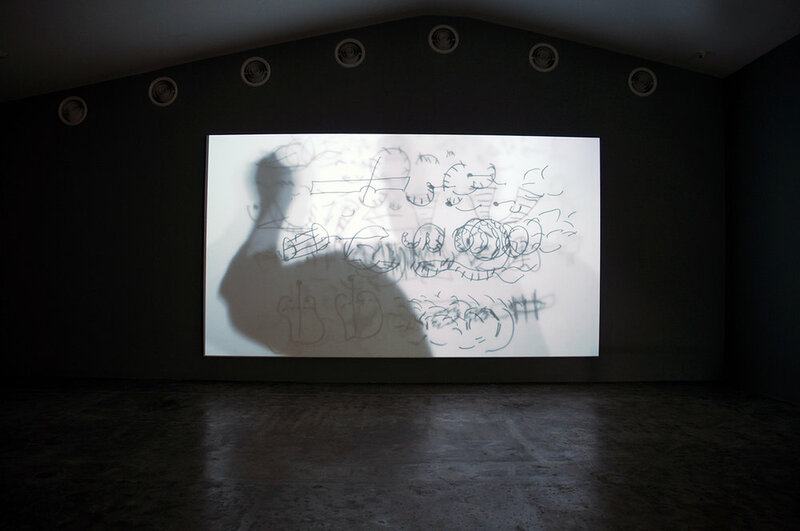 The exhibition closes with the artist’s last film, EASTER MORNING (1966–2008), in which its title pairs a reference to re-birth and eternal life with a film reworked from an earlier 1966 8mm short entitled, EASTER MORNING RAGA, referencing one of the most ancient forms of Indian music, further connecting to the idea of reincarnation. The exhibition continues in Bagac, Bataan. One of Bruce Conner’s most iconic works is the thirty-six-minute film CROSSROADS (1976) created from archival footage of the first nuclear weapons tests conducted at Bikini Atoll in the summer of 1946. (Code name: Operation Crossroads). Once the material was declassified, Conner spliced and manipulated the footage into a terrifying yet beautiful atomic levels of destruction of a monumental scale. Bellas Artes Projects’s Bataan campus at Las Casas Filipinas de Acuzar is a perfect site for this work given the World War II history of this region–including the Battle of Bataan (Japanese three-month invasion) that resulted in the unforgettable Bataan Death March (April 9, 1942)–and the 1984 completed but never activated Bataan Nuclear Power Plant visible on the adjacent peninsula. From March 3rd to June 3rd, CROSSROADS will be screened thrice weekly from 7:00pm to 9:00pm, reminding us of the precarity of our existence and the need to foster positive energy to bring peace for ourselves and for the environment.